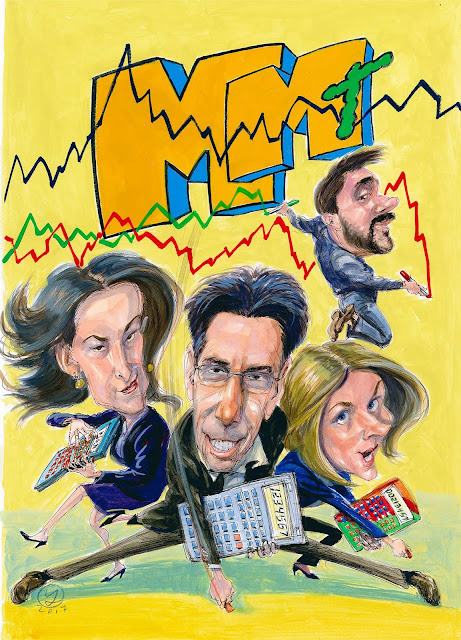 The Nation has recently published an article on "Modern Monetary Theory," or "MMT." 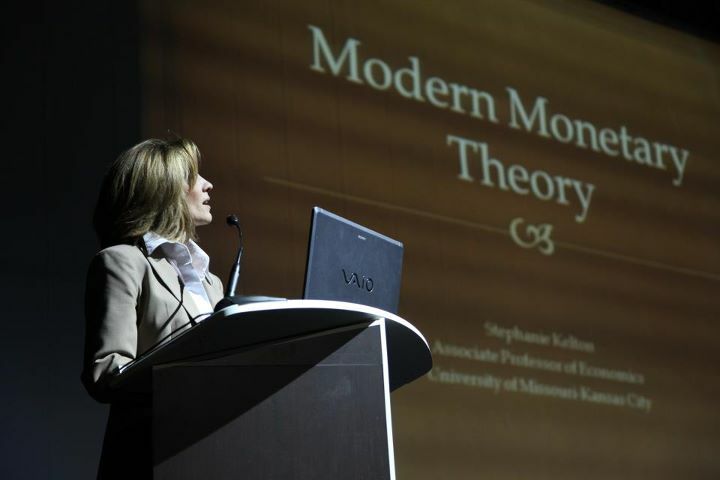 I must confess that I had never heard of MMT until I read the article, which is titled, "Debt Is Not The End." Author Atossa Araxia Abrahamian, a journalist based in Brooklyn, says that MMT has a "rock-star appeal" for young people of "the Sanders generation." That makes sense to me. Any economic theory that can promise an end to the debts that are enslaving young college graduates should have lots of appeal. In fact, as I read about MMT, I found it had lots of appeal to me. I don't want to attempt fully to explain MMT right here. Just click on the link to read what Abrahamian has to say about it in The Nation. I can provide a brief little summary, however, to give you a taste of what MMT is all about. As you will see if you read the article, MMT can come across as some sort of economic "magic," since it holds that money is not actually a real constraint on governmental spending. In other words, the government does not actually have to "tax," first, to raise the money it needs for governmental expenditures. The government spends first, essentially creating money by spending it, and then it taxes those who have money to control the inflationary effects of making so much money available in the economy. This theory means that social goods can be achieved by a political choice to spend the money necessary to achieve them. If we want to upgrade and repair our infrastructure, we can do it. If we want to provide a college eduction to those who can benefit from that, we can simply do that. Health care? Mental health care? We can have the kind of health care system we ought to have. Housing? We can build the housing we need to make sure no one has to fight off other homeless persons to be able to sleep under a bridge. Money, says MMT, is not a constraint! Obviously, if this is true, you can see the appeal of MMT! I do want to make an observation about MMT, which I think is accurate. If I understand how the "magic" works, it works because MMT assumes that we are all in this together, so our collective decisions about what expenditures we should make to achieve our common goals is always the primary question. Resources for governmental expenditures that will benefit the community overall are not what is "left over," using the taxes raised from the "private economy." Our collective economy is the main thing, not the individualistic private economy. That kind of does have a sort of "rock star" appeal to me!